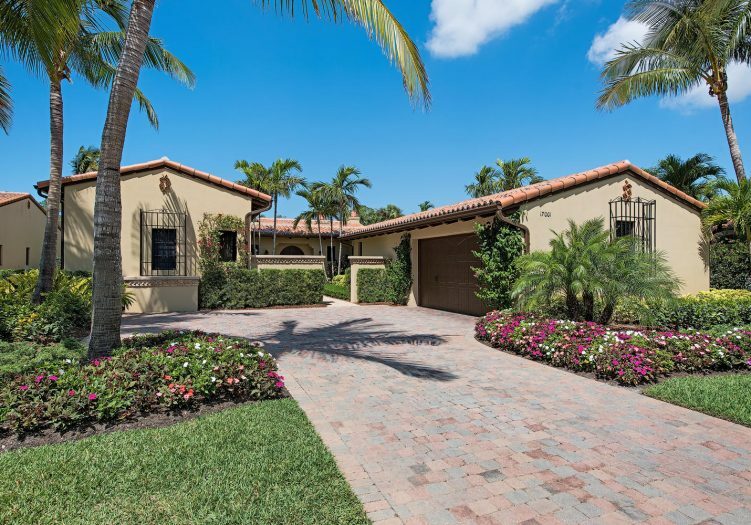 Enter this magnificent home through a richly landscaped brick paver courtyard through stunning wood doors. 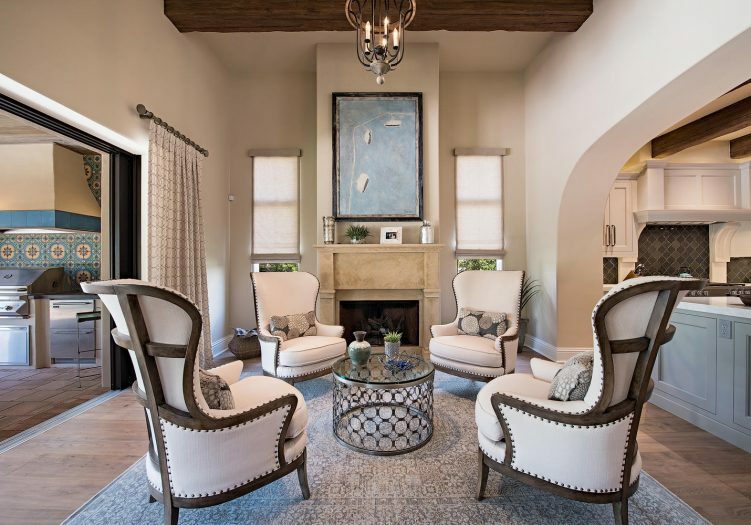 Elegance abounds the moment you step into the arched foyer highlighted by outdoor views through expansive stacking sliders leading out to the open-air courtyard with a delightful fireplace. 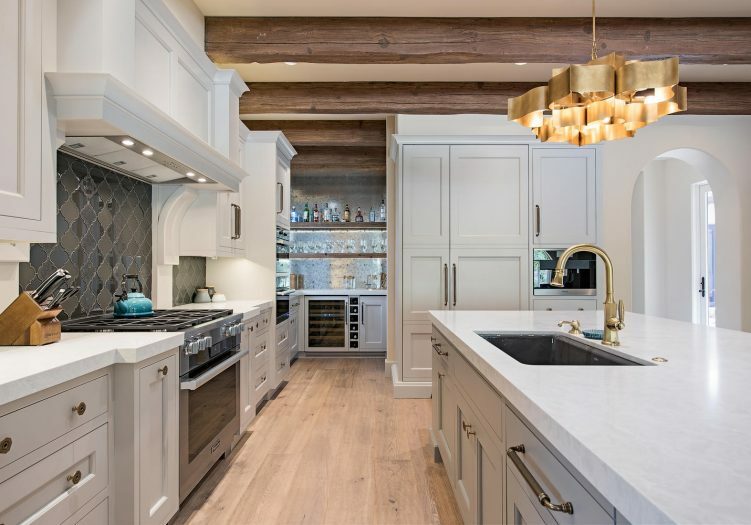 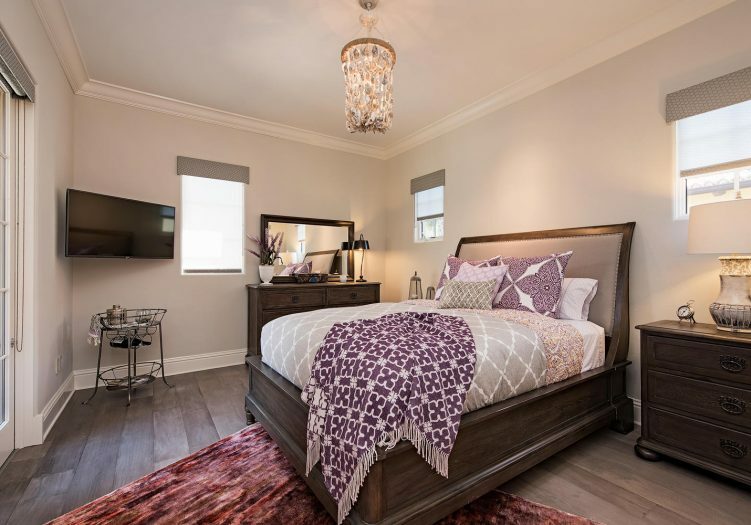 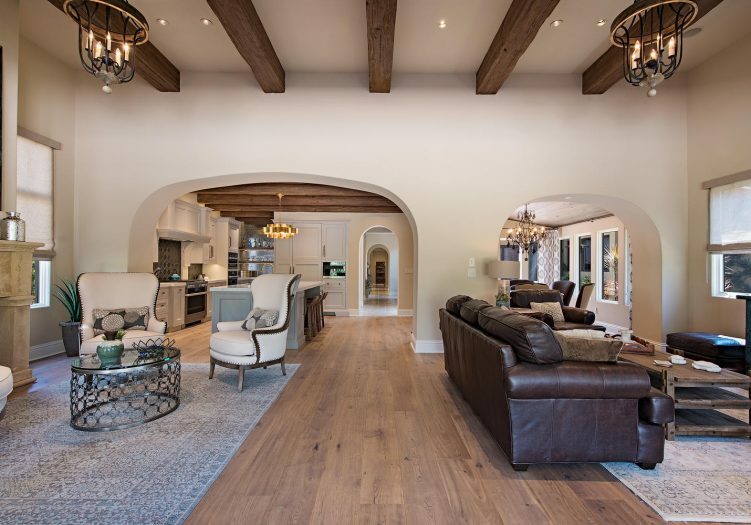 Remarkable upgrades grace every inch of this home, including wide crown molding, wood beam ceiling accents, ornate chandeliers, hurricane impact glass, top of the line appliances and rich wood and stone flooring throughout. 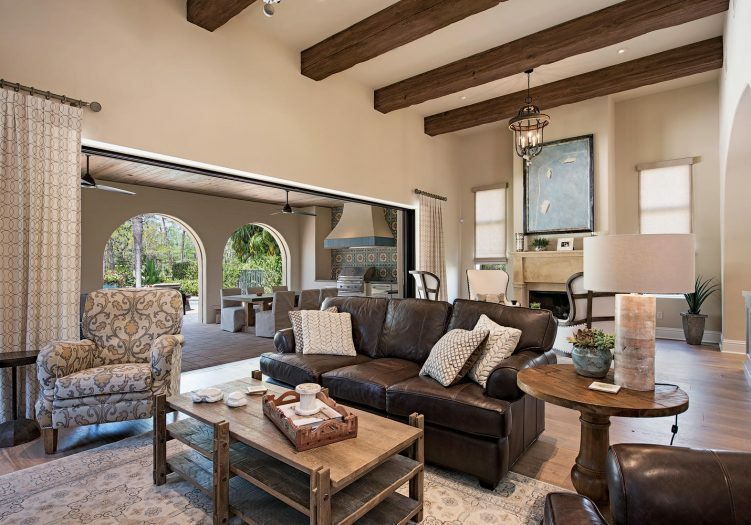 The expansive great room allows for two distinctive living spaces, unified under rich wood beam ceilings and large stacking sliders leading out to the covered loggia with summer kitchen and ample outdoor seating and dining spaces. 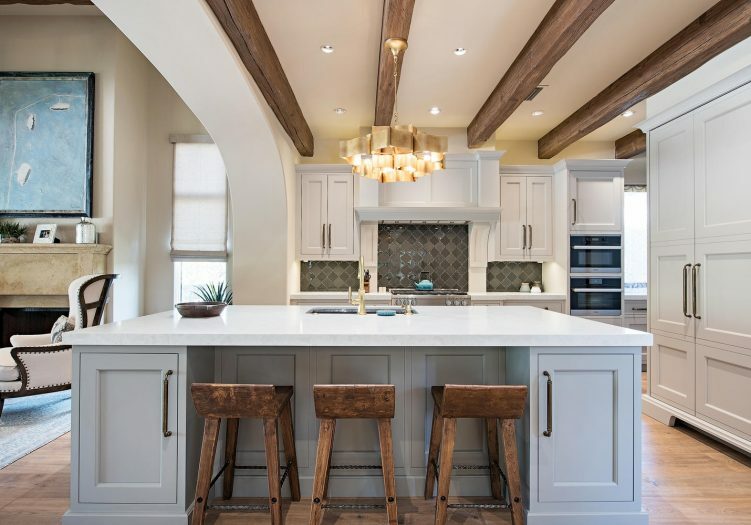 Treat yourself to a brand new gourmet kitchen with top of the line appliances and extensive upgrades to include Miele 6 burner gas cook top, two ovens, built in coffee machine, ornate custom back splash, walk in pantry and built in bar storage with an under counter wine cooler. 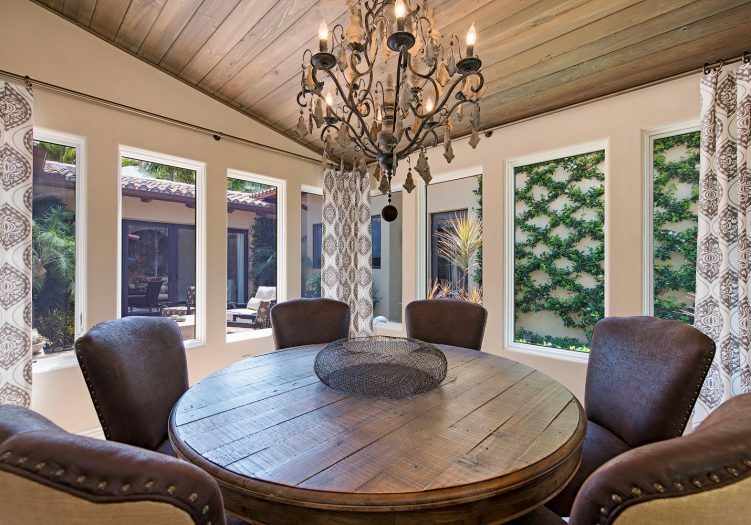 Serve special occasion meals in the tasteful sun lit dining room highlighted by wood adorned ceilings, or casual meals at the breakfast bar on the large center island flowing seamlessly between living and dining for flawless entertaining opportunities. 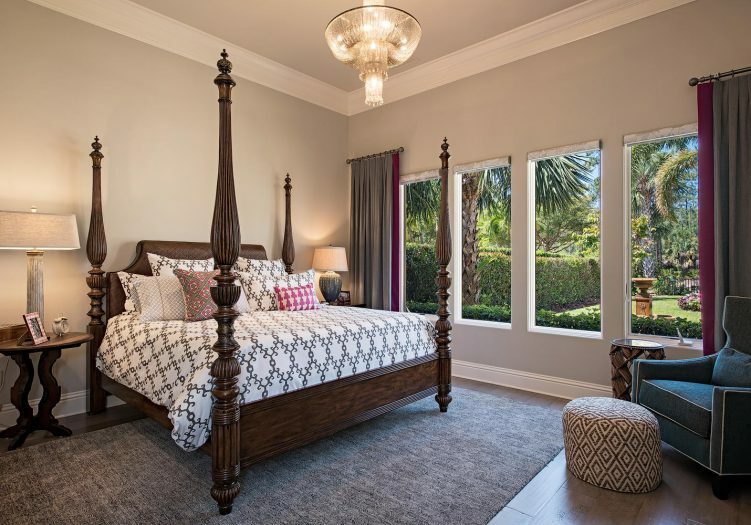 Retreat to the relaxing master bedroom suite punctuated by volume ceilings, wide crown molding and a seating area alongside windows opening to the lushly landscaped outdoor space. 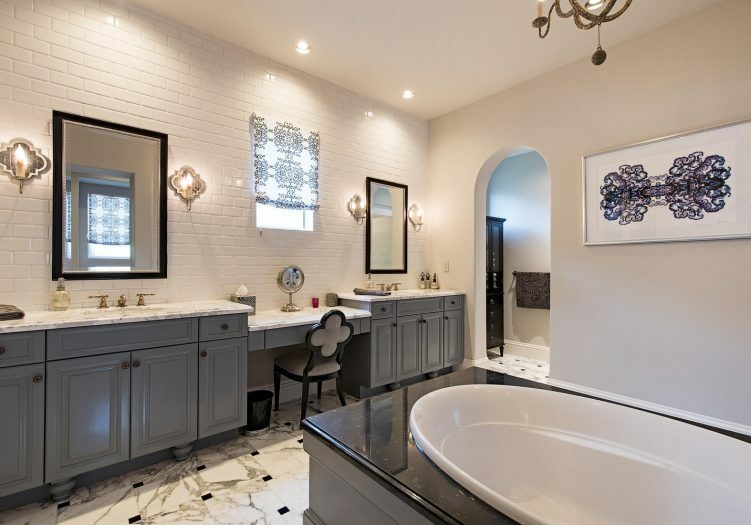 The luxurious master bath features a stunning tile pattern, large soaking tub, his and hers vanities with a lady of the house dressing table and expansive walk in closet with built in organizers. 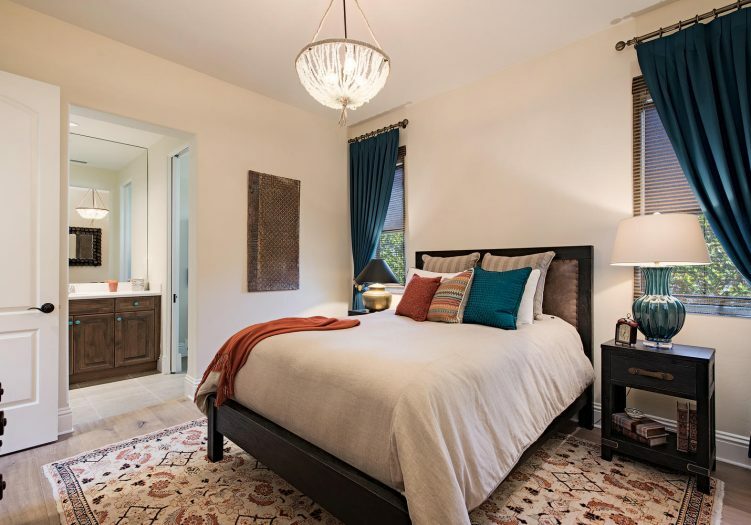 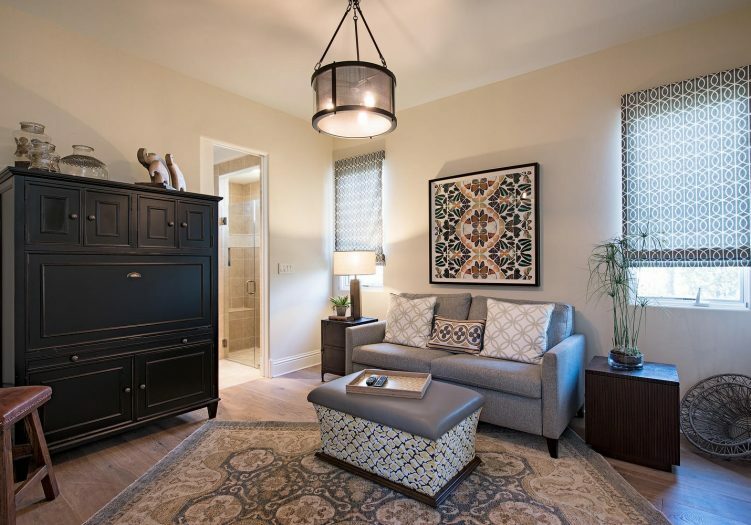 Three additional spacious bedrooms are the perfect space for hosting guests or to be utilized as private office space. 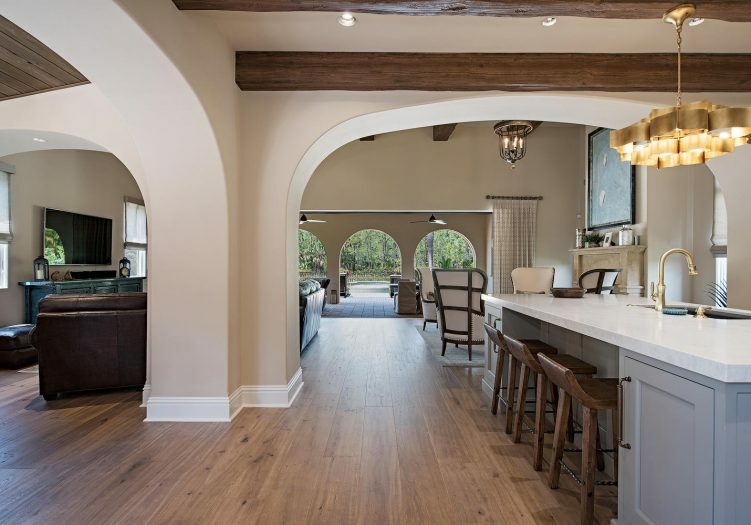 Outdoor entertaining spaces abound with a covered loggia featuring comfortable seating and dining areas and a delightful summer kitchen with built in grill, work sink and refrigerator drawers, all highlighted by a stunning tile accent wall and protected by electric roll down screens. 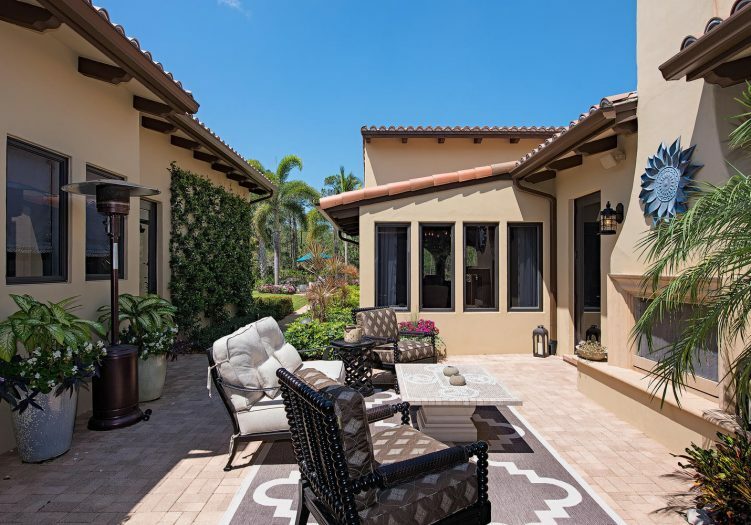 The lake side sparkling pool and spill over spa provide endless relaxation opportunities in paradise.